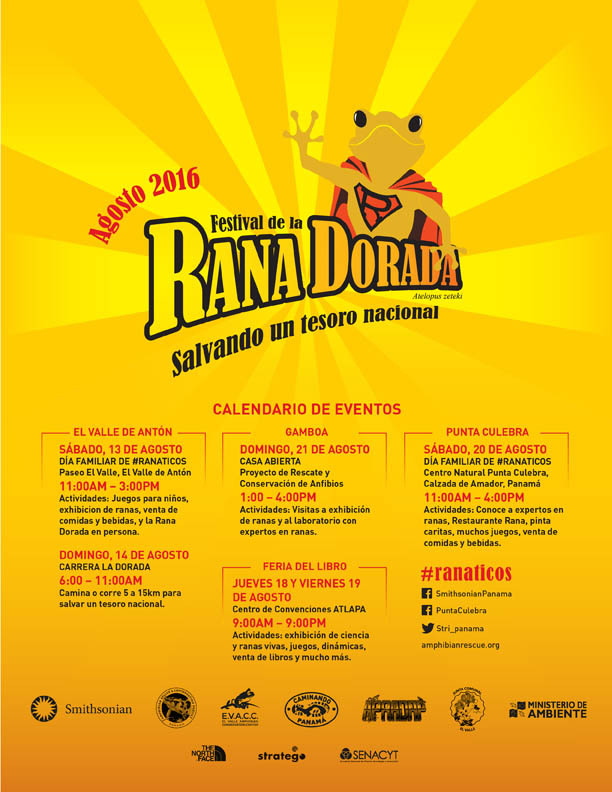 Activities: Games for children, exhibition of frogs, food and drinks, and the Golden Frog mascot. Walk or run 5 to 15km to save a national treasure. Activities: Open house to visit the amphibian Ark and meet the scientists. Activities: exhibition of science and live frogs, games, dynamic, book sales and more. Activities: Meet experts frogs, Restaurant Rana, face painting, many games, food and drinks.